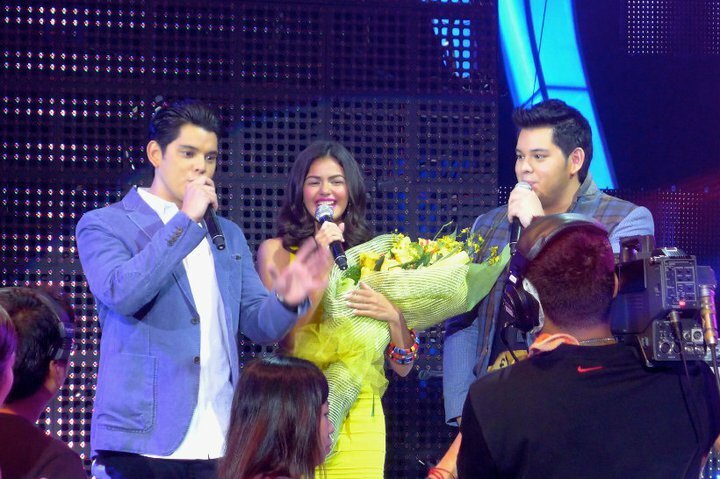 Richard at Raymond Gutierrez welcome the newest Kapuso young star Janine Gutierrez. The eldest daughter of Lotlot de Leon and Ramon Christopher. Last June 26, 2011 Janine shows up with a production number in Party Pilipinas together with male stars Dennis Trillo, Marc Abaya, Jay Perillo, MM Magno (of XLR8), Jake Vargas and a female tween star Julianne San Jose. "I feel really blessed, first of all, to be a part of this family, and second to be welcomed by Party Pilipinas so kindly. And to all the bosses of GMA, thank you so much" - Janine Gutierrez.